Enterprise-grade analytics should not just inform decisions; it should change behaviors to help enterprises gain competitive advantage. To drive better decision-making within enterprises requires both insight generation and insight consumption. Data-driven insight generation unites multiple disciplines – business context, technology, statistical analysis – to define and solve business problems. Insight consumption, on the other hand – helping enterprises make better decisions – requires an appreciation of behavioural sciences, empathy for decision makers, and design solutions that deliver insights. Improving insight consumption is generally tougher than insight generation (though both are challenging). It’s not unusual to see companies succeed in generating solid, analytics-based insights, but fail to get the most out of them. This is because insight consumption requires people to change behaviours – new ways of decision making and working – and that’s never easy. People need to see significant benefit (and low cost) to change behaviors. Here’s an example of what I’m talking about. A CPG company wanted to use data-driven insights to push the right brands, sub-brands, and SKUs to its stores, thereby improving sales. A leading analytics service provider helped the company generate insights, but the effort failed to result in meaningful change. The problem was that most of the decision-making occurred at the distributor/ sales agent level, and the distributor/agents weren’t equipped to read advanced visualizations and presentations. They lacked the technology (most used non-smartphones), and didn’t work from an office. The solution was simple: redesign the delivery mechanism and push insights out through SMS-alerts that agents could receive and act on in a timely way. Insight consumption drives competitive advantage more than insight generation. The best insight in the world is only useful when it leads to a decision and, ultimately, an action. Lots of people and organization can generate insights. But there are very few who have the right mindset, tools and talent to help you build enterprise-grade analytics solutions. Truly useful solutions – based on good data, robust technology, and higher order consultative thinking – demand a new approach to analytics. At Brillio, we call it the “New Know How.” We apply a huge set of resources to imagine what’s possible. We leverage our own intellectual property, our products, and our accelerators to deliver powerful insights as well as the strategies to put them to work. Another case in point: A debt collection company needed an analytics solution to improve collections. Structured data from variety of external and internal sources are ingested to a cloud-based data platform, cleaned, harmonized, integrated, and aggregated. An algorithm to score an individual debt’s potential for recovery was originally developed using a statistical computing language (R) recoded to run on a NO SQL/Big Data environment. But now the scores are pushed out to recovery agents through a standard, familiar applications. They are trained on how to interpret and use these scores, which makes easy for them to incorporate the analytics into their workflow. Now agents have additional intelligence that leads to better outcomes for the company. It’s not sufficient to define a specific business problem, then solve that problem using data and insights for one-time use. As evident from the debt collections case, service providers should take a design thinking approach to ensure decision makers will adopt a new solution on an ongoing basis. You should strive to imagine how information consumers will interact with an analytics-based insight, then design a solution that makes those interactions convenient and useful. You should strive, in other words, to enable sustainable and positive behavioural changes that lead to better, faster decisions – which in turns leads to better business results. Also Read Will India Emerge As A Top Competitor For AI Patents In Asia? Naren is the Director and Practice Head for the Big Data and Analytics vertical at Brillio technologies. A veteran of 18 years across the consulting, solution design, client engagement practices, Naren brings with him extensive experience in global scenarios across business intelligence, analytics and data sciences. 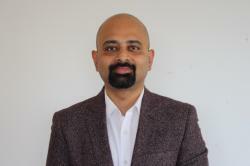 His past experience includes stints at market leaders such as IBM, eBay, Cognizant and Oracle leading teams which have helped fortune 500 companies across multiple industry verticals such as financial services, health care & life sciences, hospitality, manufacturing, CPG, e-commerce, retail and technology across with problem definition, design & delivery of solutions. Alongside degrees from the prestigious national Institute of Technology, Indian School of Business and Penn State University, Naren is also a certified Business Intelligence professional and an alumnus of the Project Management Institute. What is Technological Singularity & when can we achieve it?